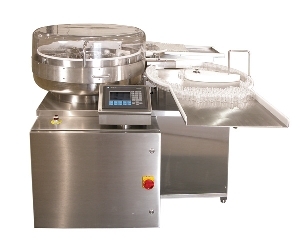 Continuous aseptic processing has significant advantages. 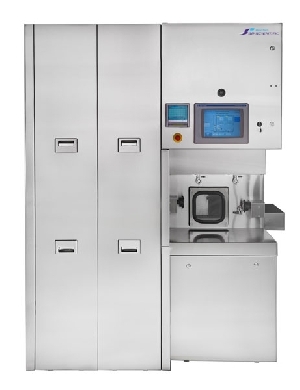 In less than 30 minutes, a vial goes from the vial washing machine, to the sterilization/depyrogenation tunnel, to the filler/stoppering/capping machine (and for those requiring it) into the external vial decontamination machine with no operator intervention or re-contamination. The objective of vial washing is to remove particulate matter and microorganisms. 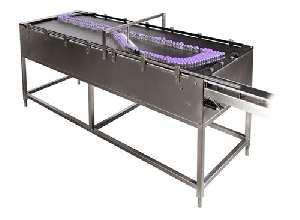 Traditional vial washers have many moving parts in the washing chamber, all of which, generate particulate matter. SP Scientific’s PennTech washers have only two moving parts and their main drive is servo-driven. Specific settings for spray time and indexing time reduce water consumption, resulting in a highly efficient vial washing process. 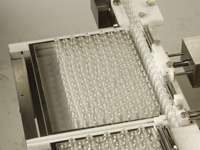 SP Scientific’s PennTech offers an effective method of loading vials into the depyrogenation tunnel. 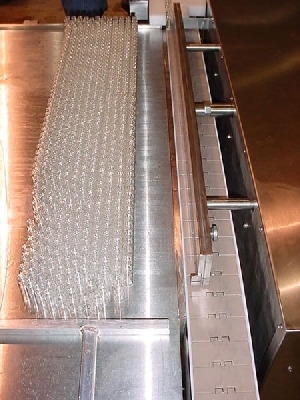 Keeping control over the vials at all times, vials are fed from the vial washer via a sanitary conveyor before gently being pushed into the tunnel by an oscillating pusher. No format parts are required. This is essentially a set-it-and-forget-it automatic process requiring no operator intervention. 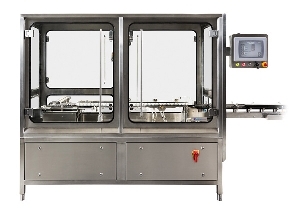 SP PennTech’s range of compact tunnels are designed for the continuous sterilization/depyrogenation of pharmaceutical glass containers, using hot air, in a class 100 environment. For this purpose, the tunnel has three chambers, each provided with HEPA-filters: the infeed chamber, the sterilizing chamber, and the cooling chamber. 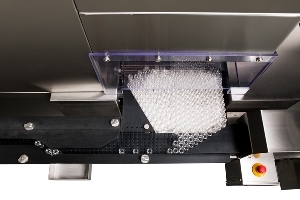 When it comes to liquid filling, SP Scientific’s PennTech offers the FS(C) series, which is comprised of single and dual filling, and stopper/inserting machines, with or without the capping function, and is designed for 2ml to 100ml vials with an output of up to 200 vpm. 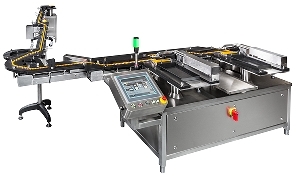 The compact in-line design features Allen Bradley components and is equipped with servo motors. 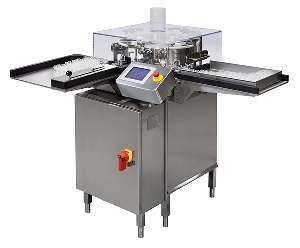 If you are looking for an external decontamination vial washer, SP PennTech’s EVW-Series is the industry’s only in-line decontamination system to completely encapsulate vial caps with a watertight seal. 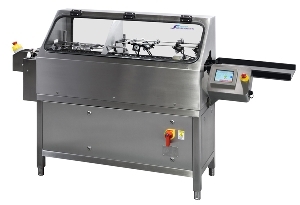 This allows for increased washing pressures for a thorough cleaning of the entire vial body, including the bottom, which is exposed to the water jets. Compressed air is used to dry the vials before discharge. 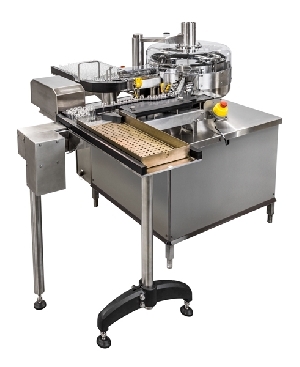 The set-up is recipe driven with automatic height settings to accommodate containers from 2 ml to 500 ml. 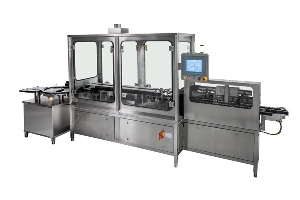 With an output up to 400 vials per minute, 13 mm and 20 mm caps can be processed on the machine without needing to change parts. However, a typical changeover only requires exchanging the infeed and outfeed timing screws. It takes five minutes and is tool-less. The piping for washing and drying, as well as, the electrical control system is housed in the base of the machine.